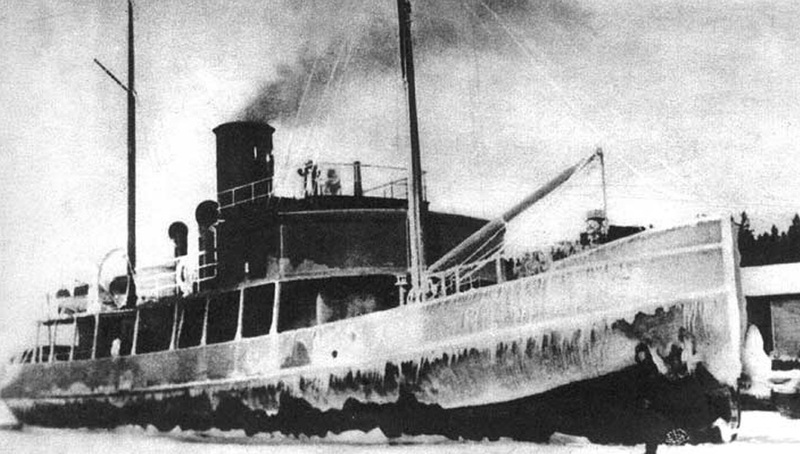 Icebreaker Aallokas was built in Sortavala at Sortavalan Telakka ja Konepaja Oy shipyard in 1936. Dimentions 34.15 x 7.5 x 3.35 m.
At the beginning of the Winter War 1939-40 the icebreaker was armed with two 75 mm guns and two 40 mm antiaircraft guns and became the biggest vessel of the Finnish Ladoga Flotilla, the flagship of the gunboats flotilla (the ganboats flotilla under the command of Lieutenant-Commander Asikainen also included gunships Aunus, Tarmo and Vulcan). From December 14th 1939 till January 12th 1940 Aallokas, Vulcan and Tarmo made 11 raids to the areas near Pitkäranta, Mursula and Koirinoja with Russian land forces as targets. Usually only two gunboats took part in the raid. In January 4th 1940 Aallokas (at this day acting together with Tarmo) was for the first time grazed from the shore, but the mines were substantially short. It total during this raids the gunboats fired at the enemy 150 75 mm shells. 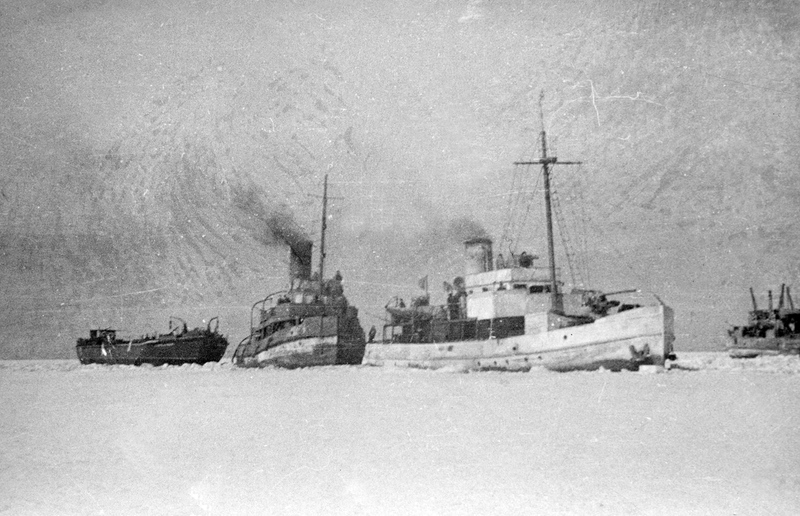 By the end of January 1940 the thikness of the ice on the Ladoga lake made it impossible to use any of the vessels exept for Aallokas, but in the February 2 it was slightly damaged by Soviet aviation, several men were wounded. After signing the March 12th 1940 Moscow Peace Treaty Aallokas was left to USSR together with other vessels of Ladoga Flotilla. In August 14th 1940 the vessel was enlisted into the Soviet Training Squadron. After renewal of the war the ship was armed with two 76.2-mm guns, one 20-mm antiaircraft gun, two 12.7-mm and one quad 7.62-mm machine-guns and reclassified as a gunboat. 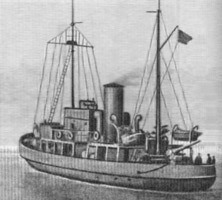 In the August 3rd 1941 it was included into the Soviet Ladoga Flotilla under the name Sheksna. From 12 to 22 August Sheksna together with gunboats Vira, Bureya, Olekma and Selemdja covered with their guns evacuation of the 142nd infantry division and 198 motorized division of the Soviet 2nd Army and the NKVD* units, encircled near Hiitola. From September 30th 1941 the gunboat Sheksna together with most other vessels of the Ladoga Flotilla, was used to deliver cargo to the blockaded Leningrad, but the intensity of the shipping operations soon was affected by the lack of the fuel. For example in November 1941 Sheksna several times stayed without coal for 6-7 days. 1941 navigation was finished in December 4th and in May 28th 1942 Sheksna went from Novaya Ladoga with the first convoy. In August 28th 1942 the regular convoy was attacked by the two Italian torpedo-boats, but their attack failed owing to Sheksna gunfire. In November 1942 there was formed a special squadron from the vessels most suited for ice voyages. Sheksna was included into it. This allowed to prolong navigation till January 13th 1943 and in the March 29th Sheksna took part in the first convoy of the new navigation season. 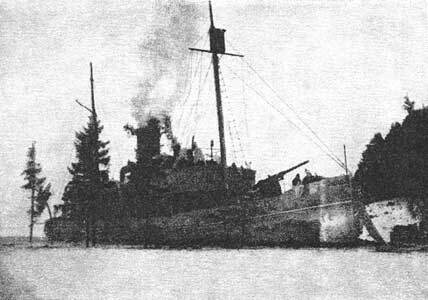 In April 13th 1943 Sheksna was reclassified into the transport and called off from the Ladoga Flotilla. The 1943 navigation on the Ladoga Lake was finished by transport Sheksna in December 4th 1943. In July 1961 the vessel was stroked off the register and demolished. NKVD – People's Commissariat of the Internal Affairs.